Recommended for those looking for pure paintwork protection without the cost of machine polishing. Sadly fresh factory paintwork isn’t always as good as you’d expect. 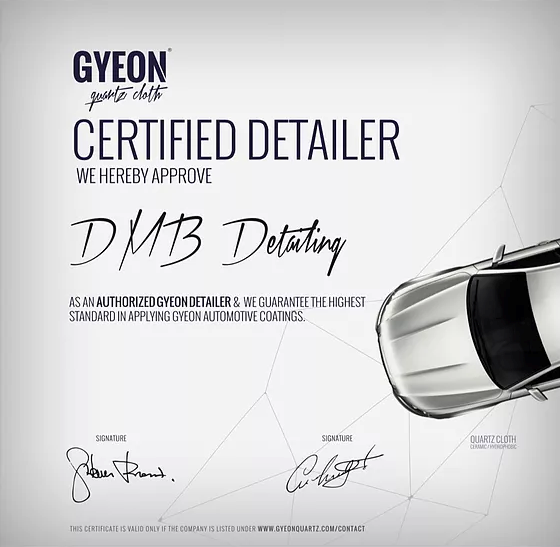 This package will however add that extra gloss to your car with the added bonus of a 12 months protection available to ensure your new car is kept looking as fresh as the day it leaves us all year long. Recommended as a once a year package for your car. Eliminating those pesky swirl marks and creating a better than factory finish to your vehicle. With the option of a 12 months protection quartz coating to ensure your new car is kept looking as fresh as the day it leaves us all year long. Recommended for those with a slightly older car looking for that ultimate shine. Eliminating most of those pesky swirl marks and creating a better than factory finish. With the option of a 12 months protection quartz coating to ensure your new car is kept looking as fresh as the day it leaves us all year long.